Our productions highlight the originality and power of contemporary Indigenous performance and culture. 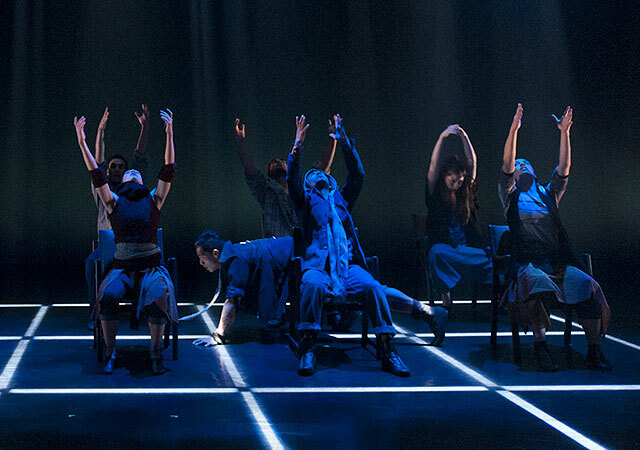 We create outstanding new works in dance, theatre and music productions for young, family and adult audiences. We develop, produce and tour new creations that illuminate themes, aesthetics and values of importance to Indigenous peoples across Canada and around the globe. Touring since 2003, we have delivered 2,255 performances across Canada and 178 international performances in 12 countries on four continents. 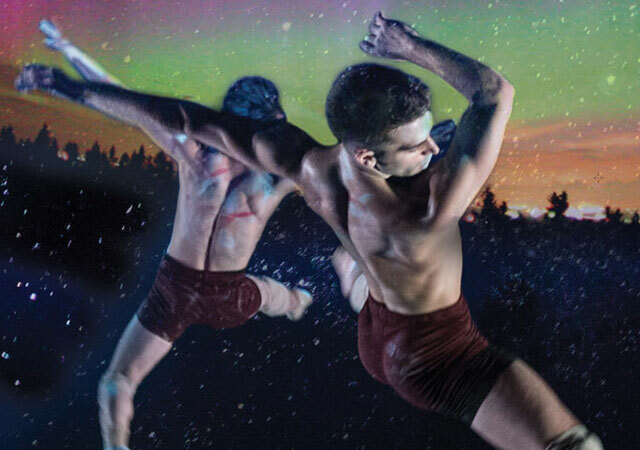 Cutting-edge dance inspired by the ‘spine’ of the continents. 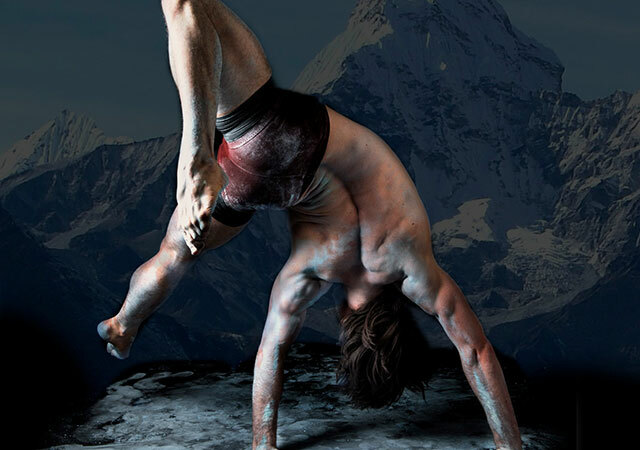 Eight dancers bring to life the electricity and impulses of our rocky mountainous backbone. Mistatim is about the taming of a wild horse and the truest of friendships. 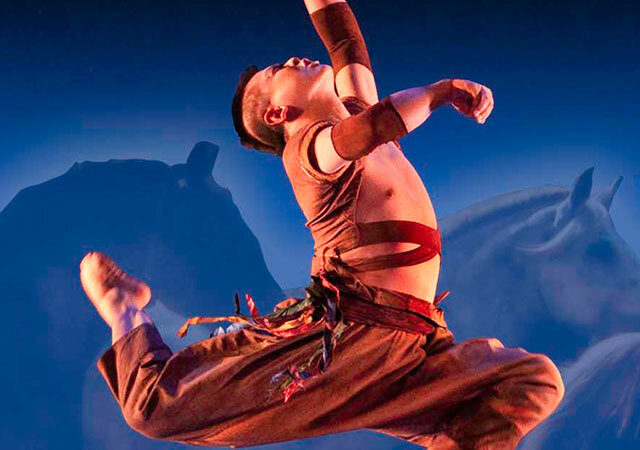 Combining dance, theatre, mask, and storytelling into one unforgettable audience experience, Mistatim vibrates with energetic freedom and thrilling eye-opening discovery. To be traceable, you must have an origin. 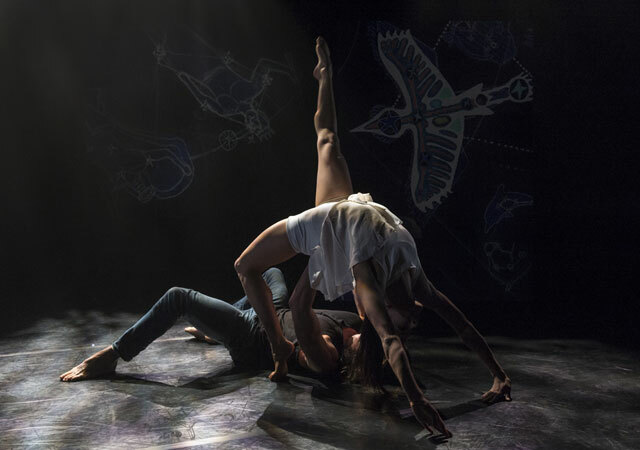 Trace is a sumptuous new dance creation that explores Indigenous connections to ancestral origins and all things traceable. Trace looks at mapping, DNA as trace, and any visible marks that we leave behind. Inspired by Indigenous cosmology, our sky and star stories, and our origin and evolution. Great Lakes is a one-of-kind site-specific dance and live music production that is performed knee-deep in water on the shore of Lake Ontario. 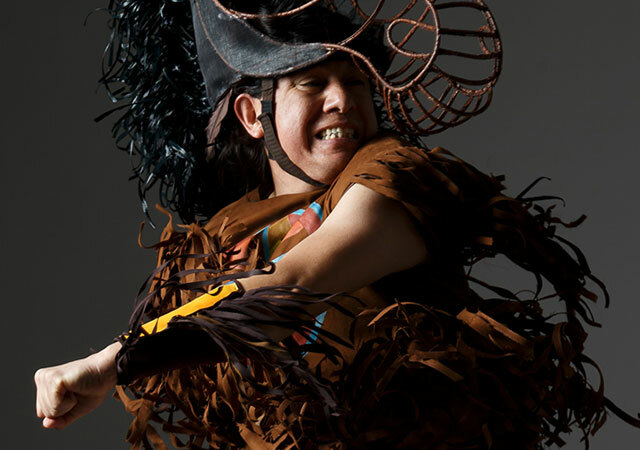 It brings together contemporary Indigenous dance, original music, and the connection to five freshwater lakes. This new work explores our interconnectedness to the Great Lakes, water as life-sustaining, and as a creative force. Connects the world Indigenous cultures of Asia and North America, and the creature universally regarded as the epitome of strength, grace and beauty. Tono is a stampede for the senses.